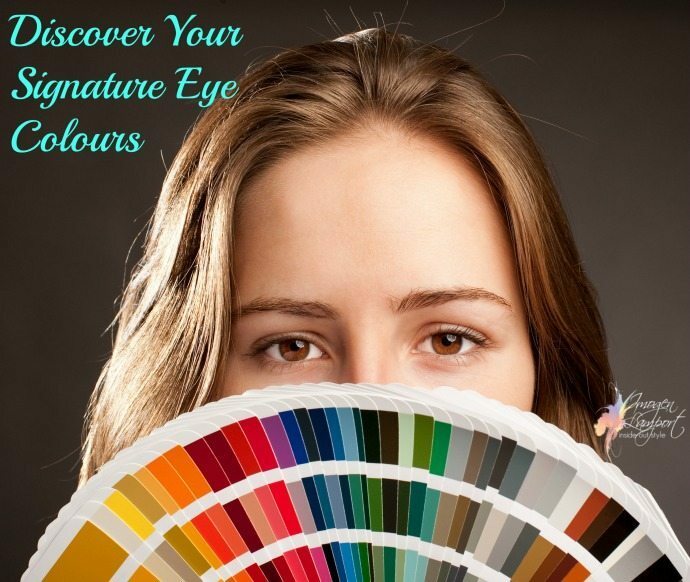 Have you ever wondered what your signature colours are? How you can figure out what they might be? 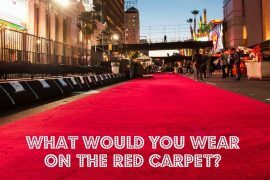 In this short video with Jill Chivers of Shop Your Wardrobe , we discuss signature colours and how to wear them. Did you know that one of your signature colours is the best colour for those multipurpose items such as shoes, bags, belts and coats? Did you know that you can use signature colours to find the right makeup colours, as well as an ideal colour for tops and scarves. These are what I call your “wow” or “knockout” colours. The ones that are your very best. If you were to receive a colour swatch that is totally personalised to you with only around 10 or 15 colours, it would be one that is all signature colours. These colours are brilliant to know when you want to buy an expensive item, for example when you want to choose your best winter coat or investment handbag, using your signatures is the way to go. Repeating the colours that exist in your natural colouring provides a beautiful harmony in your appearance. Using elements of all your natural colouring in an outfit makes for the most stunning appearance as your natural beauty is amplified. 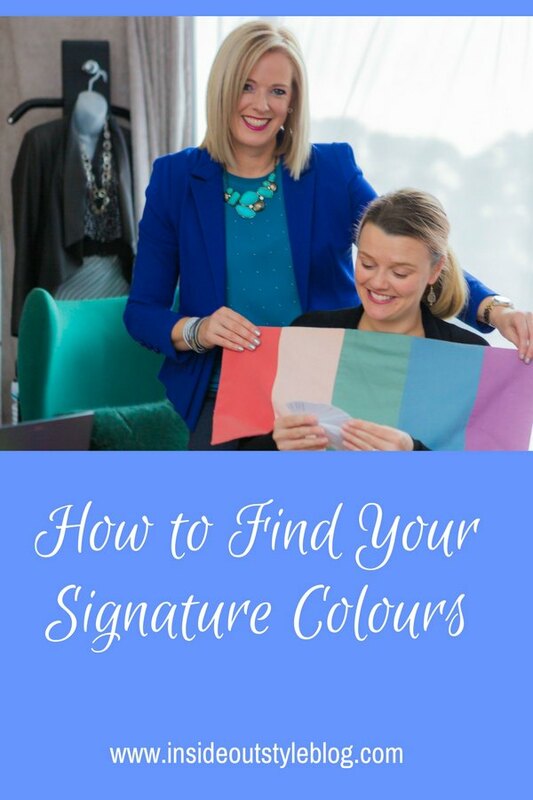 Would you like me to help you find your ideal signature colours? If this is something you’re after, you get this as part of my 7 Steps to Style program (along with also discovering everything about your body shape and proportions, how your personality influences your style plus so much more!). Find out more here. Thank you very much Jill and Imogen for a valuable lesson. I am in the process of doing something very close to what you are suggesting by narrowing my colors to signature type colors. 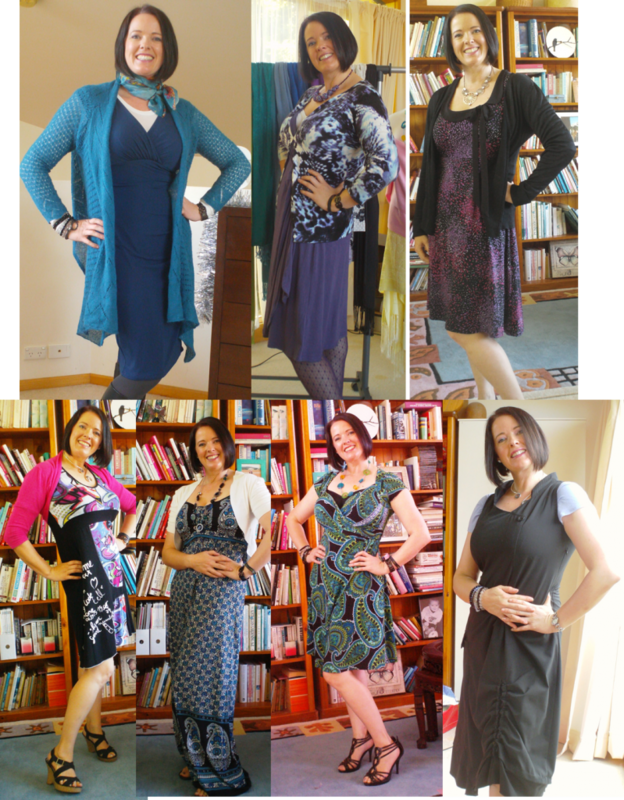 I love how they look on me, the way they flow together and all mix and match. It makes me feel great! I am guessing I can have a signature colour that does not actually appear on me, namely purple – that brings out my blue-green-grey eyes both in the glasses frame I have and the eye shadow I use?! And can black be a signature colour even though my hair is (middle) brown, not black? Although doesn’t apply to me or anyone in my family, but I too would be interested in what colours are best for someone with brown hair and brown eyes. 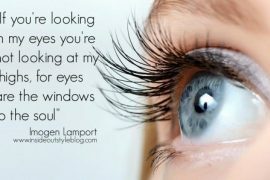 I think those of us that have light coloured eyes have a simpler job as we just find a piece in the colour of our eyes or a complimentary colour for that colour, but someone who’s more uniform but still wants to wear colours may have more problems! Susie – many people have purple tones in their skin and look fabulous in purple – it’s in their skin and lips. If you look very closely, you may find you have purple in your veins or your eyes. The outside edge of my irises is a dark plummy purple. Imogen, I wanted to tell you how much you have helped me since I found your blog. For most of my adult life I have struggled with understanding color and how to choose colors that suit me best. I have also generally hated shopping for clothes because of my lack of understanding why things didn’t look right. You have been so great at articulating why colors work and the concept of contrast, intensity, colors as we age, etc., etc…..It has completely liberated me. I have such a greater confidence because I finally feel like I get it. You made me get it!….. I am such a perfectionist (translation: “very critical”) and it really is such a huge deal to be set free from my hate of clothes shopping. I find my discouragement level has dramatically changed because I know what to gravitate towards and what to look out for in the stores. I just brought home the most darling winter coat that I wouldn’t have chosen had I not known what you’ve taught me…..Sorry, I know this is long. If you were here I’d throw my arms around your neck and give you a kiss. You really have blessed me in a profound way. Thank you. Julie – thanks so much for your lovely feedback – this means so much to me! This was incredibly helpful! I had a real “ah-ha!” moment while watching it. Thanks for all you do to help us look our best. Imogen – Can you address signature colors for redheads? I’ve found that rust colors a few shades darker than my hair look great on me, but the orange that matches my hair is just too much orange at once. Do you have any advise for we gingers? This doesn’t seem to be very helpful. What am I supposed to do as a dark-skinned woman with black hair and dark brown eyes? I can’t blush, my eyes don’t reflect any color besides brown, and my hair doesn’t reflect any color at all. Each of my lips is also a different color (one is dark brown, the other pink). I suppose I could just go by my undertone (yellow), but that still provides a very limited range of colors. I understand that this way of finding one’s colors might work for most people, but this all just seems rather useless. Absolutely – all skin types and colours! Me too! I’m a redhead ( a browny red) with light beige skin and mid brown eyes. I have been classed as a warm autumn, and am certain this is correct. I have my colour chips but find it so overwhelming when trying to plan a capsule wardrobe and so narrow down the number of colours. Do you choose lighter colours in summer and darker in winter? Your post has helped with the concept of narrowing down, but I too would like to see more examples, if you have the time. On the whole we naturally are drawn to lighter colours in summer as they reflect heat, and darker in winter, as they retain more heat. Ideally, I’d also think about your ideal value – https://insideoutstyleblog.com/2017/03/contrast-colour-value.html and work with neutrals that are most related to your hair colour, summer and winter. Halisi, I do think Imogen’s comments still appropriate, whatever your colouring. Basically, the advice (reduced to basics, for which I apologise) is to wear the same colours as in your colouring or the opposite ones, that will highlight aspects. This is more difficult when there is less variation in personal colouring, but I have a close friend from Ghana, who is very dark, and follows this ideas, quite instinctively, to great effect. Dark brown is a variation of orange tones, so she wears fully saturated deepish, bright blues (on the opposite side of the colour wheel) which really make her glow. They tend to be warm tones, but some black skins are cool instead, so the same rules about determining skin tone still work, for different people. Some bluish purples look great on her too, as do some warm reds, which emphasise the dark golden skin glow and depth of the chocolate brown eyes in a different way. A lot of trial and error went into this, but basically the same rules as for everyone else still apply. Great example Trisha – the blues are a brilliant complementary colour to the browns. Often Oranges and Reds in the right kind of intensity and undertone also look amazing on darker warm skins. On cooler dark skintones there are pinks and burgundies that look fabulous (often skin is a coloured element in darker skins, rather than being neutral). This post was an absolute eye-opener! If I wanted to choose a dress and a skirt based on one of my signature colors, which one would you recommend? 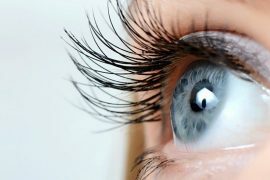 Should I pick something related to my eye color, hair color or skin/lip color? All and any of them. Eye colour is always great – but so are skin/lip colours. Hair is great for things like shoes, bags coats and belts.